Yesterday at around 4:15pm the the sign writers finished installing the branding for a new shop where the old Kingston South renovations used to be. Over the years when local people have been asked what sort of new shop they would like to see in the high street, many people have suggested a women's fashion shop. Well now there is one! 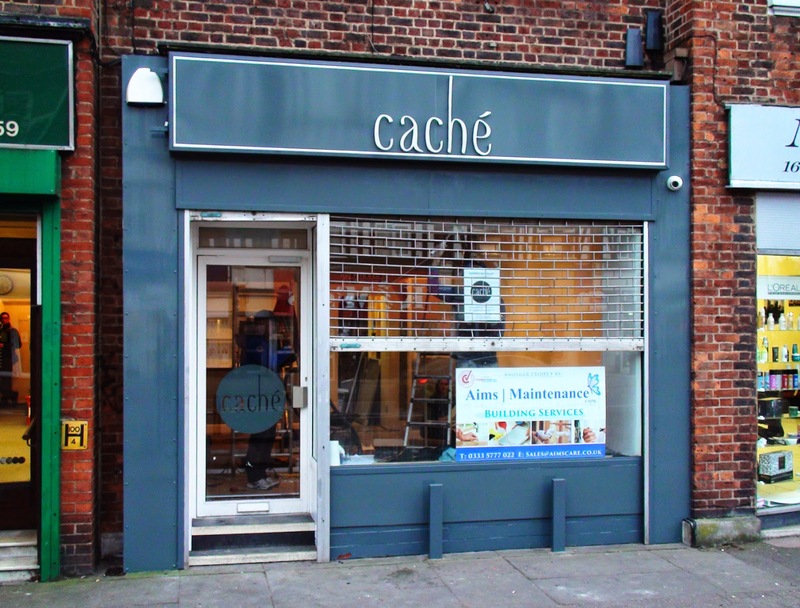 Cashe will be throwing open its doors tomorrow morning (Saturday 14th March) at 9am, offering a fresh and stylish new store for local ladies and those further afield. The contemporary emporium is being opened by Mercedes and Mireya, two ladies who both live within walking distance of the shop and is offering women's clothing, accessories, hand made jewellery and gifts. The clothing is all hand picked and from UK and European designers and is aimed at ladies in their 30s and upwards - in other words it's not fashion for girls or teens. "We will be demand led and will listen to what people tell us they want." They will not be stocking large numbers of the same thing. "People don't want to bump into each other wearing the same thing and as we are catering to local people we want to limit the number of each item we sell." They describe the market segment as 'affordable quality'. They are neither selling expensive 'designer' products nor cheap mass produced items. Apparently there is nothing like this anywhere in Worcester Park or even Cheam or Ewell. Mercedes and Mireya have both got business experience behind them and have between them run a number of businesses. They both felt this was the ideal time to come together and open this boutique. While I might not be frequenting this particular shop very often myself, I feel this is exactly the kind of place we need to help encourage people back to our local high street. I would encourage people to go in and have a look. More quality independent shops like this is exactly what will help revive the fortunes of Central Road.